At the heart of consumerism there is a deep level of greed. A desire for more - for better. Greed is never satisfied, a hunger that is never filled. "If only i had this, then my life would be better". It is a misplaced longing for a deeper connection, for purer relationships. Of course there are things that make our lives better and easier, but we must be able to weigh up this with the cost on others and the cost on the environment. this is where self-control comes in, it helps us to cut through the greed and desires and look to the heart of the problem, to weigh up our needs with the needs of others. It helps us to say "no, i don't need this, its just another thing". 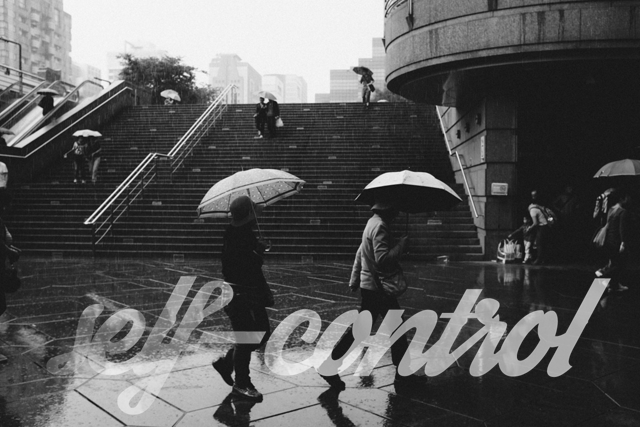 In our culture of 'do what feels good, do what you want' self-control is difficult. It is hard to foster, and as with everything, it is easier to do in a community with other like minded people, so that we don't feel isolated. 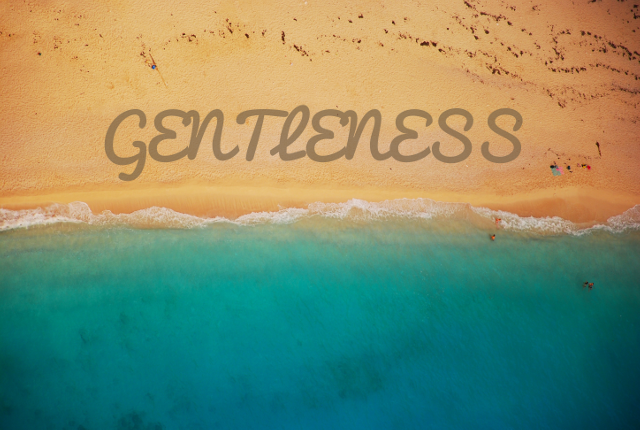 Gentleness - "The word is best translated 'meekness,' not as an indication of weakness, but of power and strength under control"
"Never doubt that a small group of thoughtful, committed citizens can change the world; indeed, it is the only thing that ever has" - Margaret Mead. When we begin to move away from consumerism, our steps seem so insignificant, our actions seems so pointless - We are but one standing against a current of mass marketing and shiny things - in danger of being swept away at any second. We fail to see how our small actions reverberate with a counter-cultural sound, we forget the power and strength of small things, we disdain the tiny mustard seed and do not notice the tree growing in its stead. Throughout this blog series we have been looking at moving away from consumerism and looking at alternative lifestyles. Often when we begin looking at ethical simple living we start off zealous wanting to change the world and are eager to make changes in our lives. We are sickened by the treatment of fellow humans, we are disturbed by the potential impacts on our planet. As time goes by our fire wanes and we miss the level of consumerism that we see around us - for me at the moment this is Apple Music - I want it so bad! (I am not saying Apple Music is evil - just that I know that if I got it the financial implications at this time would involve compromising other ethical decisions that I have made). It involves a great deal of faithfulness on our part to stick with what we know is right - and Christs faithfulness to us acts as our guide. 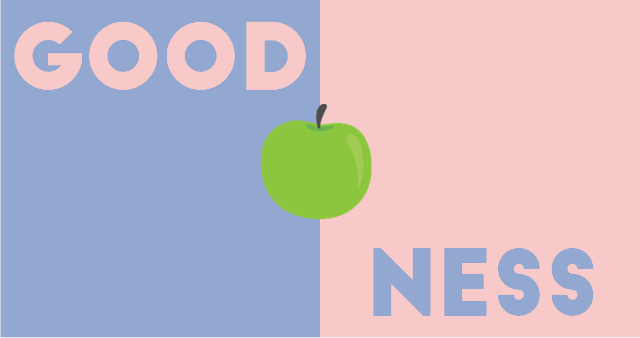 There are things that are good for us, and there are things that are not good for us. This is the essence of goodness. Are we good for the planet or are we bad for the planet. Are we good for people, or are we bad for people. Over the course of this blog series we have seen that essentially, the consumerist lifestyle is bad for the planet, and is bad for people. As people who seek to cultivate the fruit of the spirit in our lives, then we must constantly ask the question "are we beneficial", in terms of our actual impact on lives and the earth. A lot of the time the answer is no: from the cars we drive to the energy we use, from the food we eat to the clothes we wear. We must constantly ask 'is there a better way': for transport, energy, food and clothes and for all areas of our lives. May we be beneficial, may we exude goodness, and may we breathe life wherever we are.